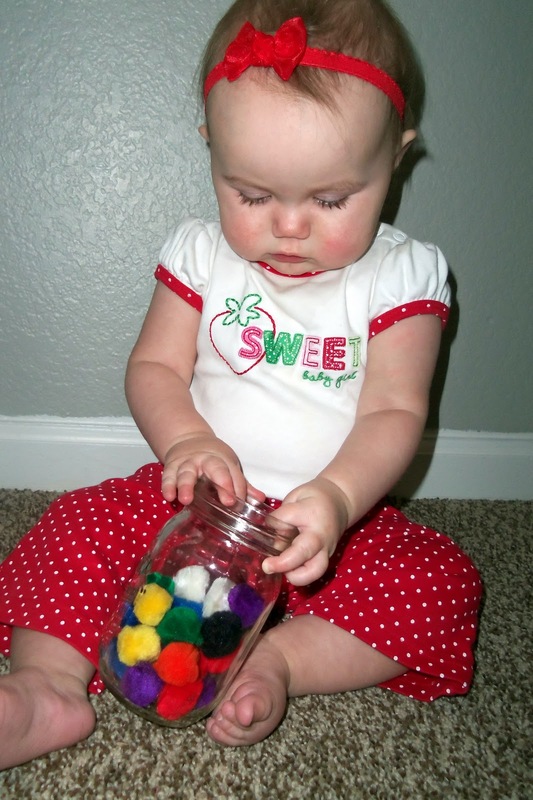 Toddler Boredom Busters: Quiet Activity - Fuzzy Balls! Quiet Activity - Fuzzy Balls! My 8 month old is super interested in doing what everyone else is doing. 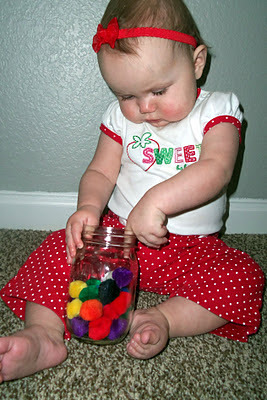 So I grabbed a mason jar and some fuzzy balls and showed her how to put them in and take them out. 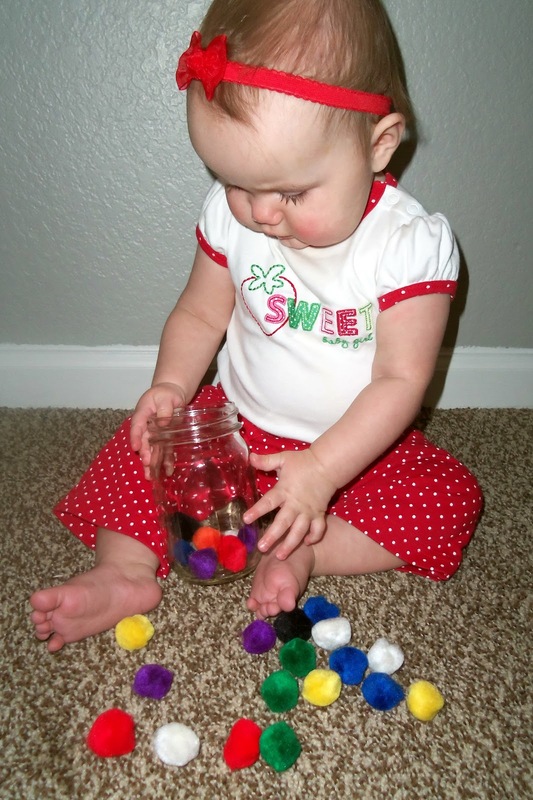 She immediately tried to do it, every other one went in her mouth, BUT I would just take them out and point to the jar and she would put them in, and then take them out! It was fun for her to do something and she loved the feeling of the balls and the jar. I had both items at home so this was free! This is a great blog and a wonderful activity my baby girl loves playing with these, we put them in an old wipes container and now she has plastic easter eggs that she uses with them. She will take them out of the box put them in the egg and back and forth. Quiet Activity - Sock-er Balls! Quiet Activity - Fuzzy Balls 2! Winners of Epic Holiday Giveaway! Quiet Activity - Pipe Cleaners!